Please note: This is a PRG0 hack, not a PGR1 hack. Patching PRG1 will cause the hack to crash on the ending! The readme also makes note of which version to use. Princess Peach and Princess Daisy were taking a quiet vacation away from everything in Snowbite Kingdom. The peace was shattered when Bowser stole all the presents for the holiday from a nearby town! 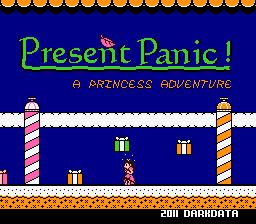 Now Princess Peach and Princess Daisy must make their way across the Kingdom of Snowbite in order to defeat Bowser and return the presents to the village. With Mario and Luigi all the way back in the Mushroom Kingdom, can our heroines save the day? 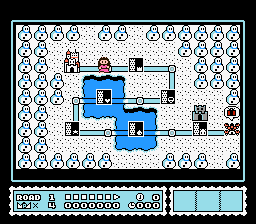 One world SM3 Hack, based around a Holiday Theme. 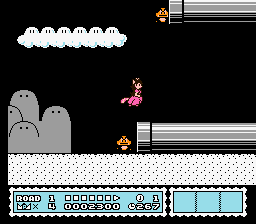 With Peach and Daisy sprites not from SMB2! This is a great little hack. The level design is really nice and I love the customized power ups. 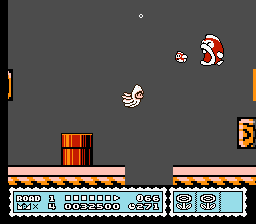 Also nice was the addition of a free mushroom in the castle at the beginning. 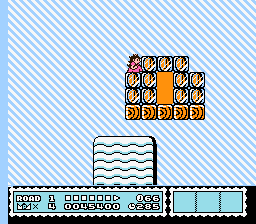 Two small complaints though, one; it’s way too short, about 5 levels, can’t remember exactly. Second, the ending glitched out, but it was customized and you get to see most of it so… its understandable. I would love to see more from this hacker.